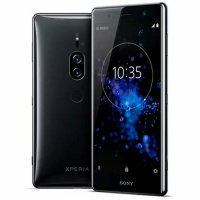 Unlocked 64GB Sony Xperia XZ3 in black. With a 5.7 inch display featuring a 1080 x 2160 resolution, dual 19MP+12MP camera and running Android - this Sony smartphone is ready for anything you can throw at it! Ordered on request This item is available to order, however is not currently available to ship to you directly from our warehouse. If you order this item, we will do our very best to get this item out to you as soon as possible.